Monologue Mana Dix : Közi fan Page Facebook. New Collaboration!!! Today, a new artist will join here! he accepted and will be joining us at this website. no name, will not be changed or modified. only that tomorrow will be included some information, updates about another great artist Kozi former Malice Mizer. which has now embarked on a solo career and the band solo project Ziz .. The News of the rivoluzinonario rouge Közi will be here as well. 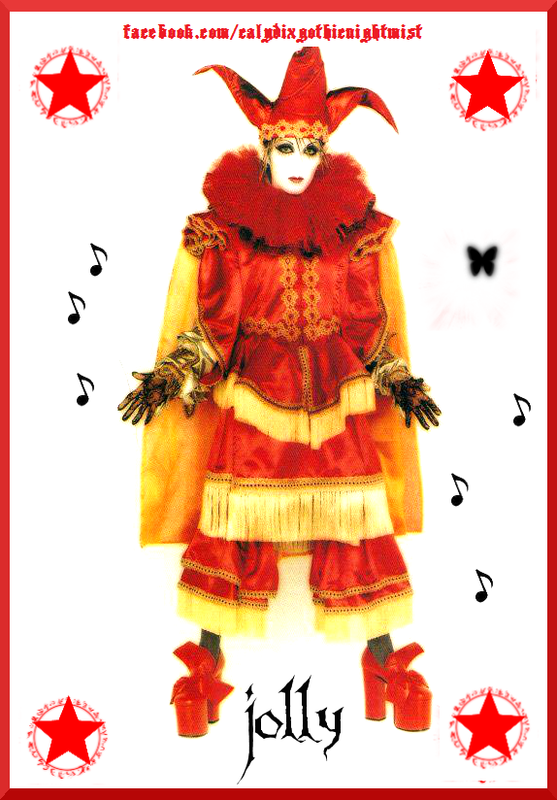 This is Card Kozi Malice Mizer Jolly. i made for him !! !